Before you can successfully transport freight, you must first determine the shipping option that best meets your transportation needs. There is a wide variety you can choose from, including dry van, refrigerated (reefer), flatbed and more. It’s a good idea to familiarize yourself with all of the freight shipping modes and the requirements that come along with each. We’ve outlined the advantages of Reefer vs Dry LTL Shipping. Dry van shipping is one of the most preferred and trusted freight transportation methods available. It’s remains a popular means of transportation due to the high availability and numerous benefits of having an enclosed trailer throughout the process. Dry van trailers are extremely versatile. The “drop and hook” load mode (drop an empty trailer, hook up a loaded one) saves you additional time and effort. You can worry less about the security of your freight as it’s excellent at protecting your goods from bad weather and theft. Dry shipments allow for LTL trucks to fill easily. Dry products are more common as they don’t require special handling or temperature controls. In this way, LTL companies often focus their services on dry shipments to ensure their costs are maintained. That is equipped with a refrigerating unit for the transport of temperature-sensitive goods. Reefers can maintain an internal environment within a specific temperature range, depending on the products inside. Reefers protect your products better than dry shipments. If you sell any fresh products or temperature-sensitive items, reefers are necessary to keep them protected. This ensures your units are not subject to severe weather or spoilage. There will always be a demand for fresh products, therefore, reefer shipping will constantly be the one to transport these goods. Reefer trailers are not just for cold goods. Dry goods or temperature-sensitive freight can also use reefer shipping. Trailers are also great for protecting freight from weather conditions, theft, spoilage and possible damage. Determining the correct freight shipping method is key for delivering goods to a destination on time, safely and in a cost-effective manner. You need to make sure you choose Reefer vs Dry LTL Shipping or other shipping methods that best suit your needs. Working with an online freight service provider helps to connect you with high-quality contract carriers. 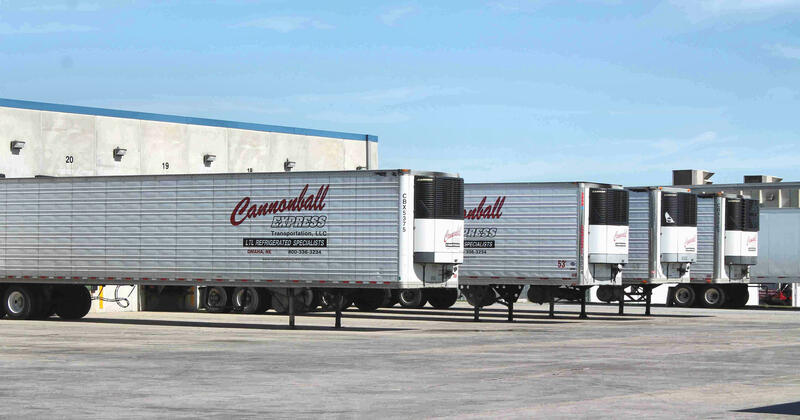 At Cannonball Express Transportation, we work with you to understand your shipments and strategic goals. We offer personalized solutions with data analysis, real-time tracking, and a consultative team. This ensures your shipments go door-to-door efficiently and cost-effectively.